William "One Take" Beaudine sat in the director's chair for the independently produced Born to the Saddle. Chuck Courtney plays a young horse trainer who goes to work for the truculent Donald Woods. Courtney believes that Woods was responsible for the death of the boy's father, and hopes to exact revenge if his suspicions are confirmed. Instead, the older and younger man become close friends thanks to their mutual love of horses. Featured in the cast is actress Karen Morley, in one of her few screen appearances after being officially blacklisted for her allegedly leftist political beliefs. 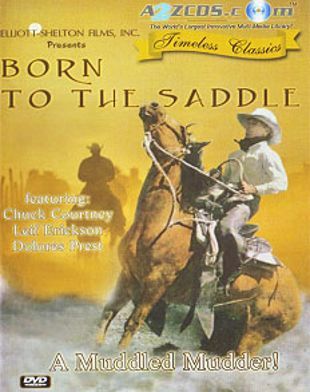 Adele Buffington adapted the screenplay of Born to the Saddle from a short story by Gordon Young.